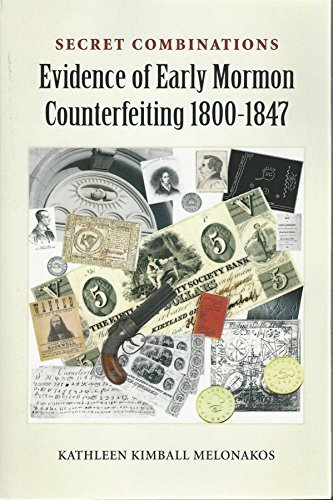 Amazon.com description: Product Description: This book chronicles the evidence that early Mormon leaders, starting with Joseph Smith Sr., dealt in counterfeit money beginning in Vermont, and continuing throughout Joseph and Hyrum's careers. It places the Smith brothers in the early American context where counterfeiting networks and some of their CEO-like bosses posed as preachers. It is the only book of its kind that uncovers the problems counterfeiters caused in early America and what really happened before, during and after the Book of Mormon appeared on the scene. This book does much to explain the origins of the LDS/Mormon Church. Both fact-based and fast moving, supported by more than 1400 footnotes and over 100 photos and illustrations. Based on nearly 10 years of research, conducted in Vermont, New York, Illinois, Missouri, and Utah.